The grass is already dry, the consequence of a very short rainy season. This means that early bush fires can be expected. Last Saturday, we had a meeting with the parents at the LAP. Each of the 12 villages where the students are coming from, have 2 representatives in the parents board. Before the meeting with all the parents we had a pre-meeting with the representatives. The issues discussed in this meeting are then presented to all the parents by the board. This ensures a better appropriation of the subjects and easier communication since it is done in local language. Teachers and support staff were presented to the parents. More than 50% of them have been changed. This year we have 189 students at the LAP. There were 123 parents present at the meeting. Some are coming mainly for the lunch which served after the meeting, but many asked pertinent questions. No chickens in the chicken coop yet, but vegetables. It is nice to see this year’s development at the LAP. So far the changes in personnel seems to be paying off. Witchcraft is something people strongly believe in here. Everybody has stories about it. If a person is known as a wizard, everybody is scared of him. As if Burkina Faso does not have enough to cope with, the dengue fever is now found in large towns. Last week more than 30 people died from it in the capital. The only way to prevent this epidemic is to use insecticides to kill the mosquitoes which propagate the decease. Is Burkina equipped for this type of action? 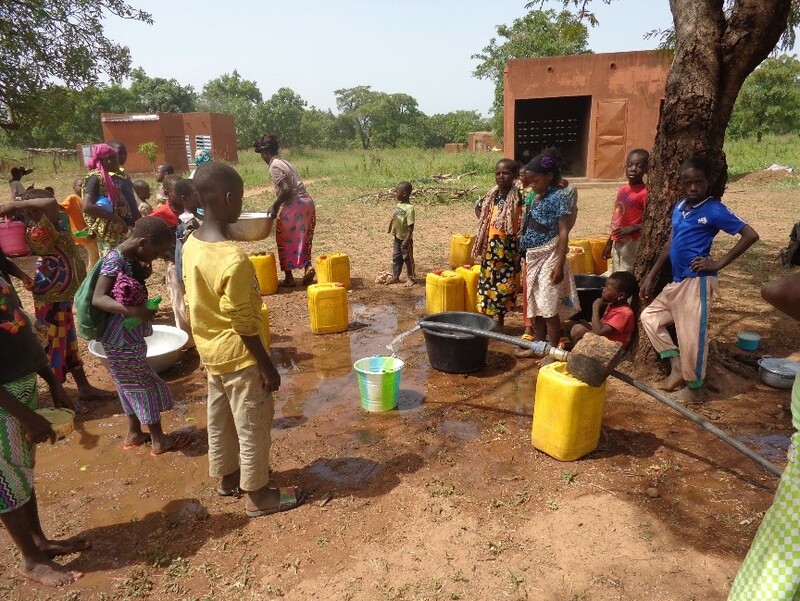 Last week we realized a water well in the yard of the school of Sidi 2. Drilling rig on location. The well was drilled at a depth of 74 meters. After the well was drilled and equipped of a casing, it was pumped to clean it. When the villagers saw the water running on the ground they rushed to get containers to catch the water. The blue pump was then installed. The proud director with children all around the well. Before this, they were getting water from a well that was 1 kilometer away.